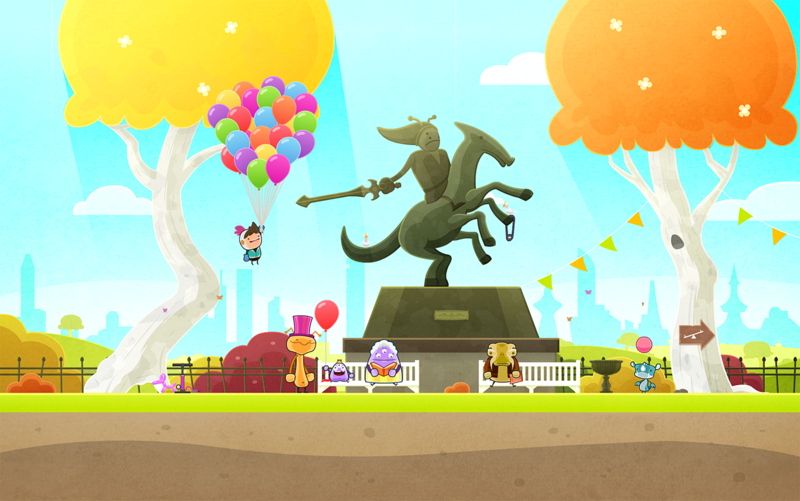 Alike Studio has finally brought Love You to Bits to Android after an 8-month wait. 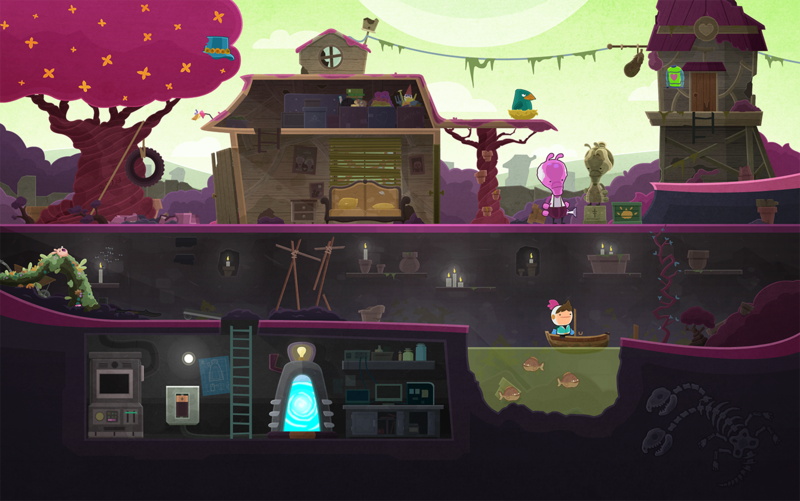 It is the spiritual successor to the once-popular point and click adventure game Tiny Thief. While Tiny Thief's publisher Rovio has since removed the game from the Play Store, Love You to Bits should not have such an issue thanks to the developers Alike Studio and Pati.io publishing the game themselves. 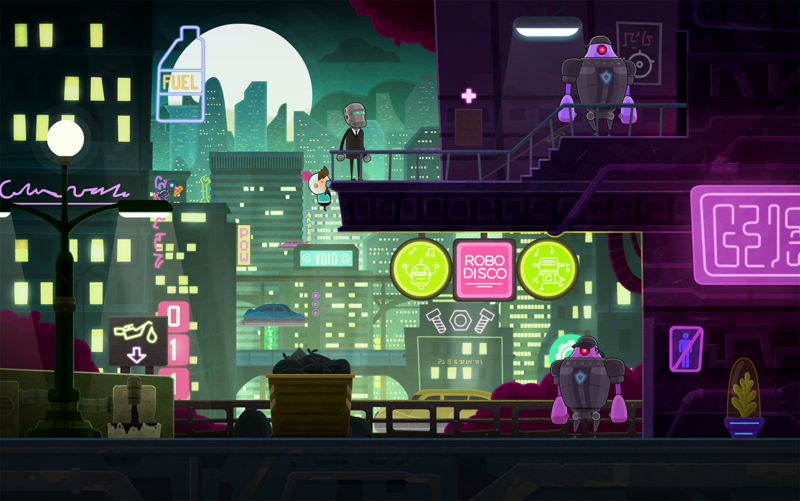 The premise of Love You to Bits has you exploring numerous worlds in search of your robot ladylove's scattered body parts. You see, as the hero was flying through outer space with his companion they were attacked by an alien craft. During this attack your partner was destroyed and her robot parts were scattered throughout the galaxy. It is up to you to point and click your way through the strangest of settings while meeting aliens, solving puzzles, and most importantly collecting those missing body parts. Each world you explore will contain one body part that you will only gain access to once you solve that world's puzzle. Each found part will include a video memory that you can watch once the level is completed. These videos help to flesh out the game's overarching story and give the player a connection to the gameplay. What is great about the exploration centric gameplay is the fact that it gives plenty of headroom for the wonderful graphics to shine. Each world has a different theme that is consistently animated in an appealing fashion. Not only should the differing environments keep things fresh and exciting, I personally find that I can't wait to see what each new world looks like thanks to how beautifully they are presented. As for the controls, they work wonderfully on a touchscreen thanks to the straightforward nature of how point and click adventure games work. You just tap on the area you want the protagonist to move or simply tap on the bubbles that pop up when there is an item of interest near you. Item management is a breeze, as anything you need will show in one of those bubble pop-ups if they are of use for your current location. While the interactive item-based puzzles are not easy to solve, the streamlined interface surely helps in making sure that you are never bogged down by a poor UI. It is also worth pointing out that Love You to Bits is a fully premium release. It costs $3.99 upfront, and there are absolutely no advertisements or in-app purchases to worry about after that initial purchase. You can also expect to see support for Google Play Games Services through the inclusion of an achievement system. It also appears that cloud saving is supported through a sync and save data feature in the main menu. This way you can pick up where you left off on a different device. All in all, I would say Love You to Bits is a heartwarming point and click adventure game that looks great, controls even better, not to mention is priced just right. Plus, the inclusion of cloud saving in this premium title is a very welcome sight. So if you had enjoyed the initial release of Tiny Thief, I see little reason as to why you shouldn't give its spiritual successor a try. After its successful worldwide release on iOS, it’s time for Android users to guide Kosmo all around the universe in “Love You to Bits”. The multi-awarded point-and-click adventure will be available tomorrow, October 19, for $3.99 at the Google Play Store for any compatible Android devices. 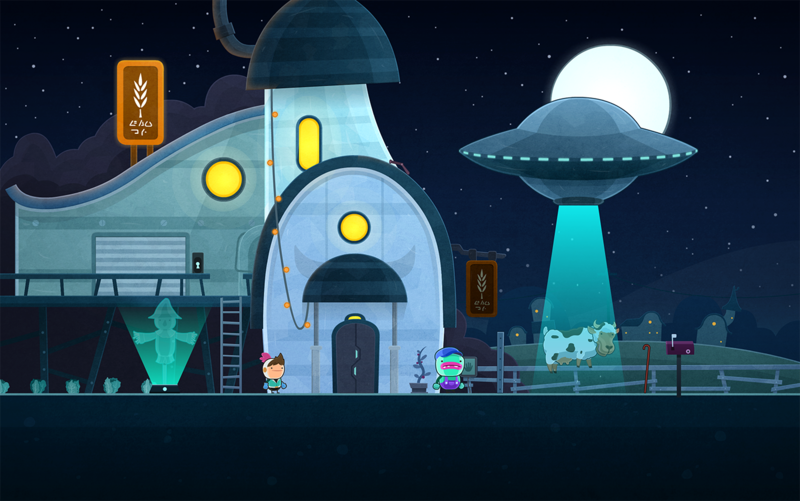 “Love You to Bits” is a crazy cute, purely visual, puzzle-filled, point-and-click, sci-fi adventure spanning across the universe. You will follow the journey of Kosmo, a clumsy rookie space explorer in search of Nova, his missing robot girlfriend. After a fatal accident, all of Nova’s pieces get scattered in outer space, so Kosmo will struggle to retrieve all Nova’s bits, rebuild her, and get back together. You will explore enigmatic worlds and planets full of dozens of bizarre aliens, mind-blowing space-time puzzles, and hidden love-tokens to collect. As you complete levels, you will unravel Kosmo and Nova’s thrilling & touching love story for all audiences: pure visual storytelling with stylized cartoon designs and a hair-raising soundtrack. “Love You to Bits” is the result of the collaboration of "Alike Studio” and “Pati.io”, two studios based in Barcelona (Spain). 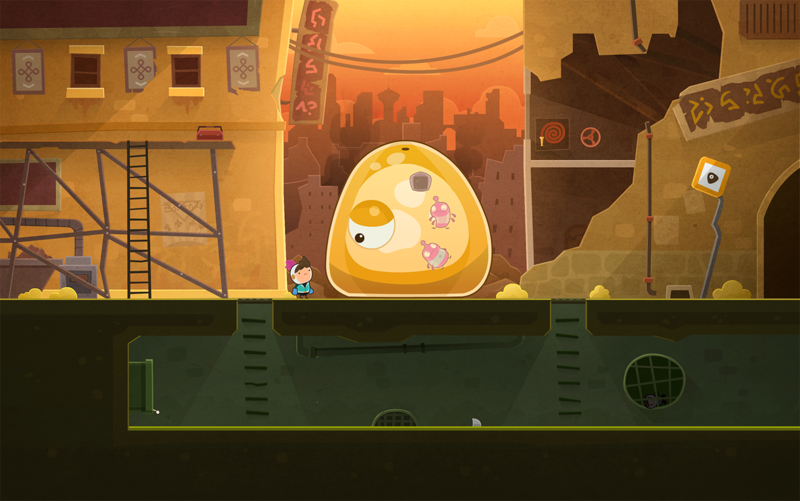 The team is formed by key members of the award-winning “Tiny Thief”, developed by 5Ants and published by Rovio. 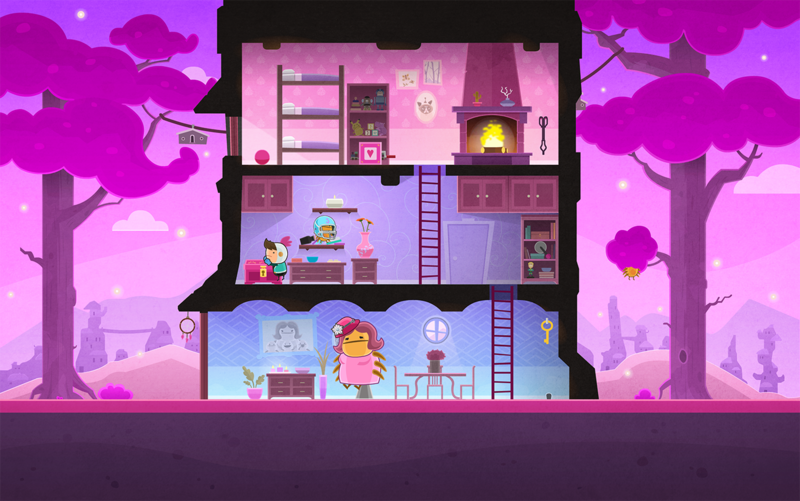 During its international festival run, “Love You to Bits” won three Gamelab award, it was one of the nominees for “Best Upcoming Game” for the 12th edition of IMGA (International Mobile Gaming Awards), and it was selected as one of the ten finalists for the 2016 IndiePlus Prizes – among other international gaming prizes.